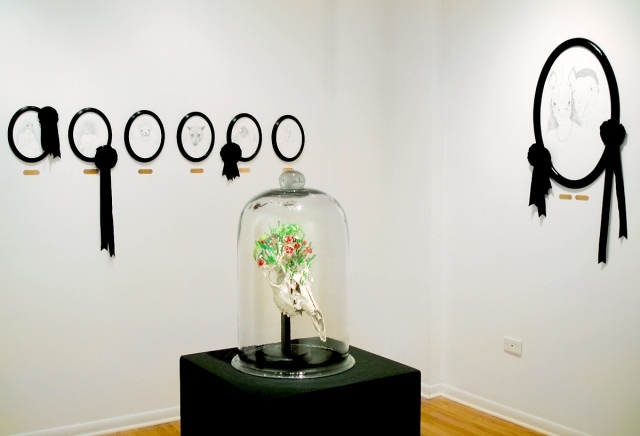 Wunderkammer was a solo exhibition of new work at Kasia Kay Art Projects in Chicago from Nov. 30th - Dec. 29th 2007. 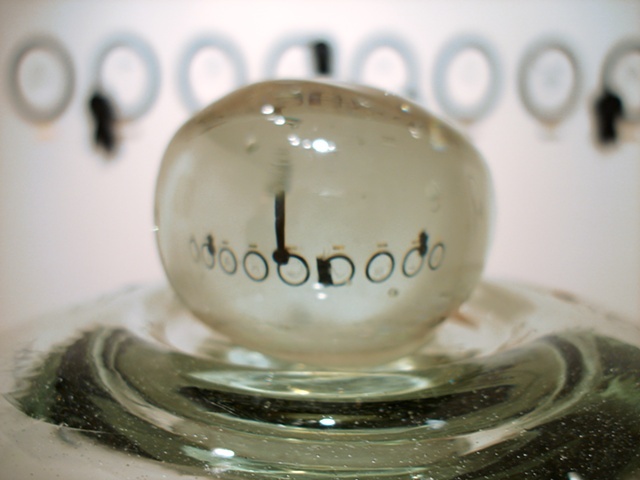 PRESS RELEASE: In her show at Kasia Kay Art Projects, Kendler re-imagines the Naturalist of the past through the lens of modern ecology and environmentalism. If the Naturalist of the 18th and 19th centuries sought to lay personal claim to the natural world and contain it in a specimen cabinet or book of prints, Kendler presents her room of intimate drawings and sculptures as a definitive counterpoint to the view of nature as something to be possessed. Her delicate work suggests instead that it is we who are possessed by nature. In common with those early Naturalists, however, Kendler shares the delight in nature's myriad forms and countless wonders. 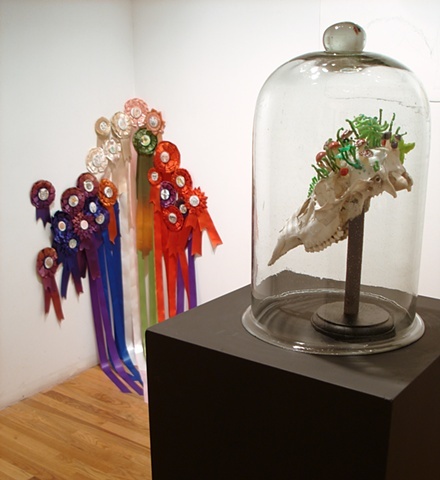 Referencing specimen etchings, wunderkammern (wonder cabinets), and funerary portraits, Kendler creates her own collection, based not on ownership and categorization, but on connectivity and compassion for the natural world. On one wall hang graphite portraits of humans wearing animal masks, each one the face of an extinct species, each portrait drawn from a photograph taken in the year the animal became extinct. 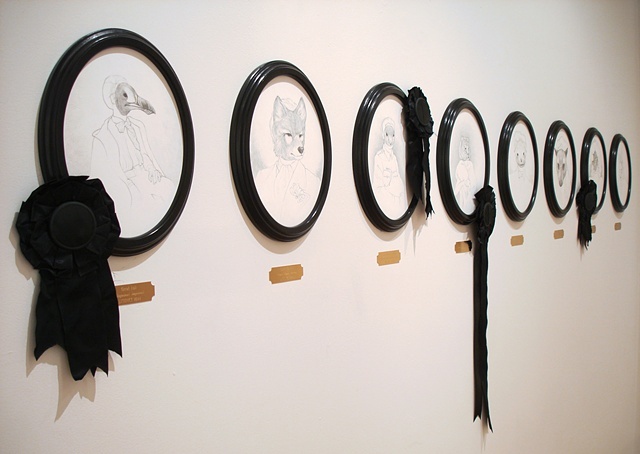 Shown in black oval frames, similar to those of 19th century funerary portraits, and hung with black ribbons, these portraits question our complicity in the extinction of these species, and intimate that we may take upon ourselves these lost identities. 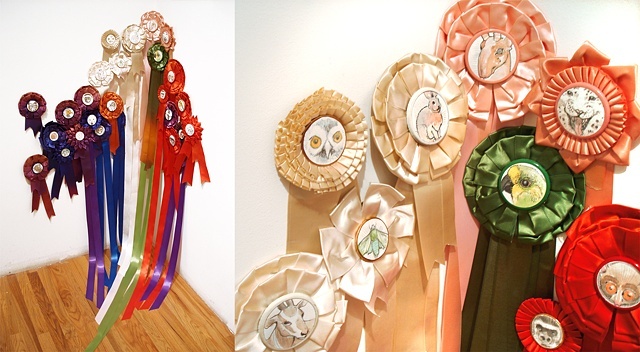 These works are complimented by a corner installation featuring colorful ribbons encircling small watercolors of endangered species, plants and animals awaiting the choices that humans beings will make. In the center of the room, echoing the treasures of the wunderkammern, a deer skull under a bell-jar grows new life --- tiny hand-sculpted plants creep from bleached bone and curl towards the light, a suggestion that regeneration and healing of the fractured relationship between nature and culture is possible.